There’s a couple of decent, free office suites available these days. 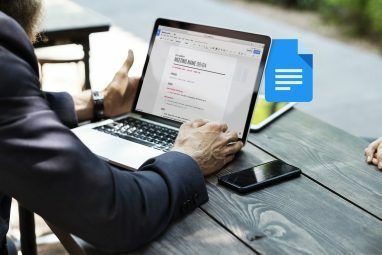 As well as the usual applications, cloud-based services like Google Docs make accessing your work from anywhere a doddle – but you’ll need a reliable Internet connection to do any work. 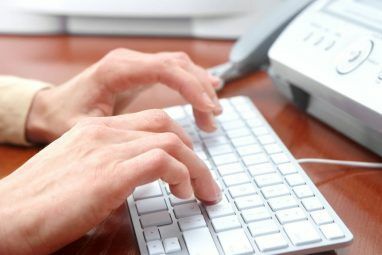 It is for this reason that it’s always advisable to have a set of tools installed, especially if you suddenly need to knock out a spreadsheet or type up a letter and can’t get online. Canonical (Ubuntu et al), Novell and Red Hat have all revealed that they plan to include LibreOffice in their future operating systems, so what makes it so good? The LibreOffice suite began as a separate fork of the highly respected OpenOffice project on September 28, 2010. Some members of the development team were concerned about the recent Sun Microsystems buyout by Oracle, who have already discontinued the free OpenSolaris OS. The Document Foundation was formed, Oracle were invited to become a member and it was the hope of this foundation that the OpenOffice name would eventually make its way to the new project. This was never to be, and LibreOffice is now the “alternative” OpenOffice. LibreOffice uses the same version number as OpenOffice, as it is based on the same source code. At the time of writing there have been a number of releases including three betas and three release candidates – all within a 4 month timeframe. This new fork of the OpenOffice project also incorporates Go-oo, a set of patches released to improve the original OpenOffice. This project has since been dissolved and incorporated directly into LibreOffice. At the moment there’s very little to separate the two, although message board chatter suggests that the LibreOffice project is more stable than its OpenOffice counterpart. LibreOffice is available for all three major operating systems on the download page. If you’re running Windows there’s an executable installer to download and run, Mac users can download PPC and Intel .DMG files and there’s .TAR.GZ archives How to Compile & Install TAR GZ & TAR BZ2 Files in Ubuntu Linux How to Compile & Install TAR GZ & TAR BZ2 Files in Ubuntu Linux Read More for Linux users. Ubuntu users (and those using Ubuntu-based distributions) can download from the repositories Your Guide to Ubuntu Repositories and Package Management Your Guide to Ubuntu Repositories and Package Management Read More for a super-fast install. Note: Installing LibreOffice on my Ubuntu 10.10 install replaced my OpenOffice suite. Make sure you’ve not got any unsaved documents open whilst installing! Once it’s installed, you’re good to go! A highly flexible word processor that can read, edit and save text documents in a variety of formats (including Microsoft’s proprietaries). There’s no Microsoft Office-style “ribbon” layout, so if you’re fond of the retro simple look then you’ll feel right at home. 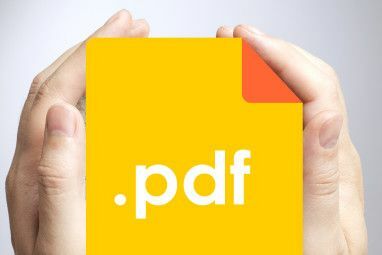 You can export directly to PDF Simplest PDF Apps Ever: Merge PDFs, PDF to DOC, Convert to PDF Simplest PDF Apps Ever: Merge PDFs, PDF to DOC, Convert to PDF Read More , HTML and even in MediaWiki How to Install a Wiki on your Website How to Install a Wiki on your Website Read More format. No Office suite is complete without a spreadsheet program, and Calc employs some pretty powerful features along the way. Natural language formulas allow you to use words as well as numeric formulas, there’s the Intelligent Sum Button which works out your numbers based on context and support for a variety of formats including Microsoft Office 2008 .XLSX files. A straight-forward PowerPoint clone for those all-important presentations. Impress comes with everything you’d expect from a presentation tool as well as support for multiple monitors, PowerPoint files and the ability to export Flash .SWF files. A graphics package 4 Great Applications for the Graphic Designer on a Budget 4 Great Applications for the Graphic Designer on a Budget Read More for creating diagrams, flow charts, technical and general posters. The suite boasts an impressive maximum page size of 3 metres and support for most major image formats. Much like Microsoft Access, Base is a database tool with the power to organise simple inventories or take on much more complex tasks. Base supports MySQL, PostgreSQL, Access and Adabas D multi-user database types, as well as JDBC and ODBC for added compatibility. Designed to provide an “easy way to insert formulas into documents”, there’s a range of complex input methods to get your head round if you simply love numbers (or have homework to do). Included with LibreOffice are a number of pre-installed extensions. You can download many more from the LibrePlanet website, which is awesome. Some installed extensions include PDF Import (for importing and modifying PDF documents) and WikiPublisher (to preserve your layout for a MediaWiki format). There’s not an awful lot of difference between OpenOffice and LibreOffice on the surface. The rapid development from beta to RC and soon a stable release means the team are putting a lot of effort in under the hood. It’s just nice to know that if OpenOffice is discontinued then there’s a worthy replacement just waiting to take its place. Have you swtiched to LibreOffice yet? Still using OpenOffice? Reckon Oracle will flip the switch? Let us know in the comments below! Explore more about: Digital Document, OpenOffice. This is a perfect find for me... I love trying new applications etc and I am just happy that you have this free ware to share. I am very much interested to look differ on this. Maybe one day I will shift into this libre office. Nice article. So I've uninstalled OpenOffice - reasons - It started to crash when I had more than one files opened. Also when I've tried to close on of the files it closed all of them, than tried to recover rest of the files. Overall strange behaviour. LibreOffice - first thoughts - it's lighter (but we will se after few weeks), the system (winXP) seems to be working faster. It's not crashing:) For now. Mine crashes all the time, fifteen times a day - more than once an hour. It just had an extended fainting spell, so I clicked to install Libre, and installed a g-d Ask toolbar, not finding Libre anywhere. I guess I'll have to call my techs to kill Ask again, and maybe to install this Libre thing. Oooh a competition between OpenOffice and LibreOffice! Let's see what hands Oracle would play. Same here.. LibreOffice is now my office suite. I changed to LibreOffice, and I was glad to know it had a thousandths coma button. I had to download an extension for it for OpenOffice. This looks like it might be a worthy successor should OpenOffice be discontinued. By the way, "switched" first sentence, last paragraph. I'll have to look at Base again. I was under-impressed when I last considered using it (when I had O-O installed instead of libre) instead of MS Access. the rest of libre office works well and I have been using on my Win 7 machine instead of forking over $$ for Office.